One of my favorite things to do when my daughter was young was to make a new addition to our attempt at Gingerbread houses each year for Christmas. Our biggest challenge was finding a place to put it so that our German Shepherd dogs (who happen to love the taste of gingerbread houses) would not devour it before the season was ended. Sometimes, Jess and I would make a design from a box and sometimes we would make one using a design from a photo that we found. We are always on the look out for new designs. 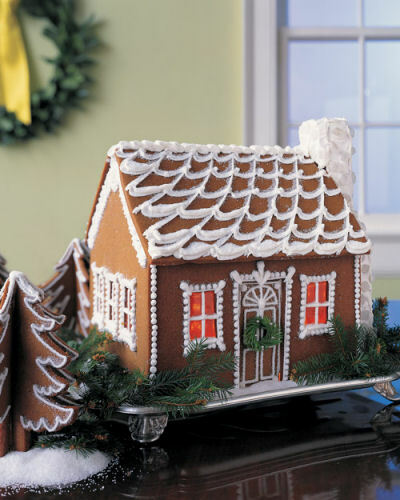 Check out these gingerbread house ideas for some more ways to decorate your project. 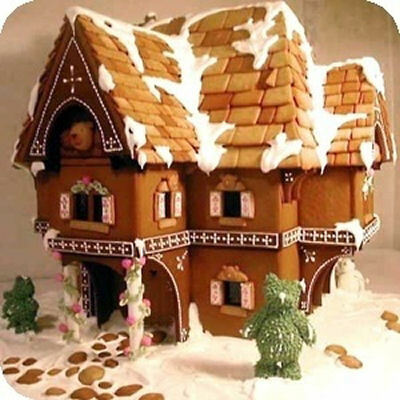 Gingerbread Houses for your Inspiration. I thought I should start with this year’s Gingerbread house. I made it this weekend and it is a candy style house that my daughter and I used to make when she was young. I used tons of candy on this house and love the way it turned out. See the tutorial here. 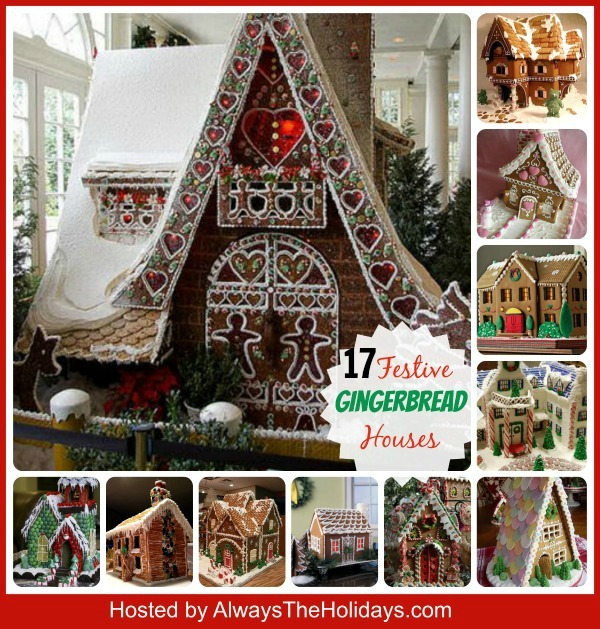 If you are looking for some Gingerbread houses inspiration, check out these designs.Perhaps one of these will be the perfect design for you this year! Be sure to check back soon. I will be adding new designs often. 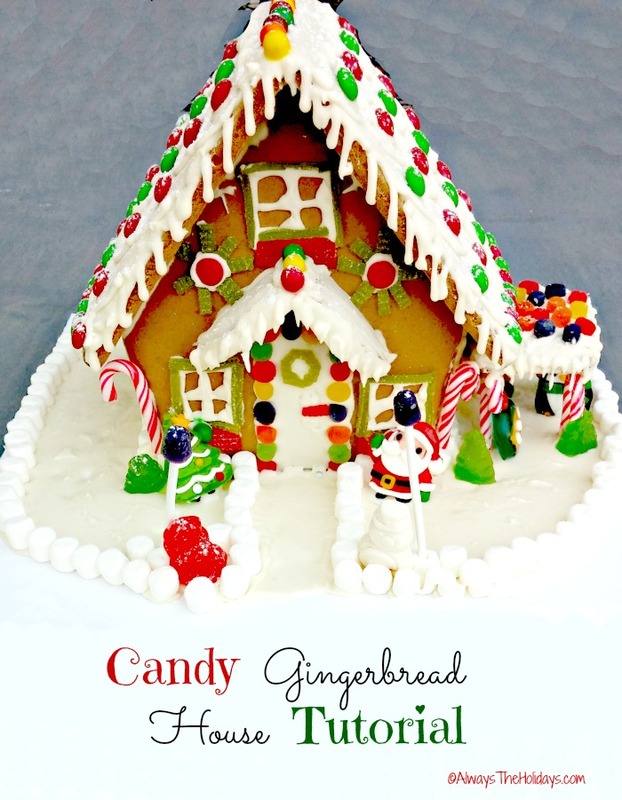 This large NY style Gingerbread house appeals to me because of the simplicity of the design with the pop of color coming from the trees and some limited decorations. 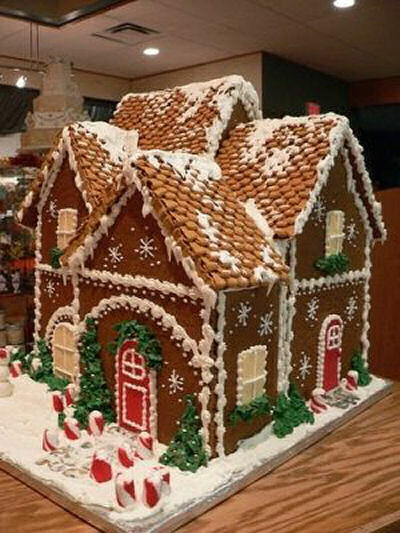 Gives real meaning to the term “gingerbread” house. This idea is shared from Cakes 3. This is such a lovely design. 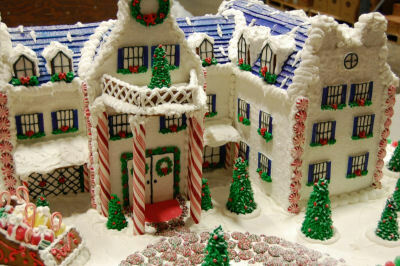 My favorite parts of it are the Necco wafer room and the beautifully detailed gingerbread door. Such a creative artist! Image shared from Sassy Beautimus on Flickr. I have a large Department 56 Dickens Village that I put on Display each Christmas in our home. When I saw this on The Chive, I knew that I had to feature it in this round up. The patchy snow on the roof of the house is so much like one of my village houses. 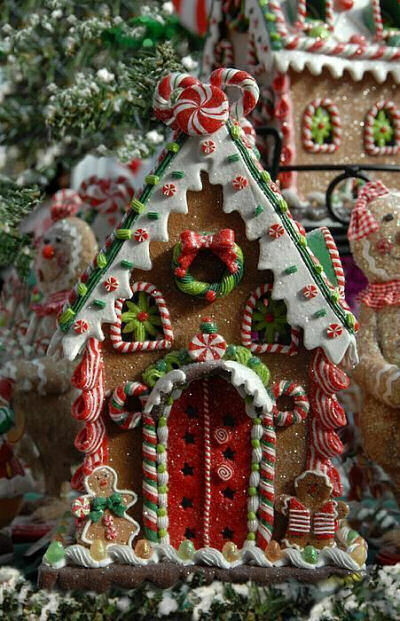 This is such a perfectly decorated gingerbread house from the peppermints on the roof, to the white scalloped eaves, right down to the two gingerbread people doormen! Image is shared from Fine Art America. 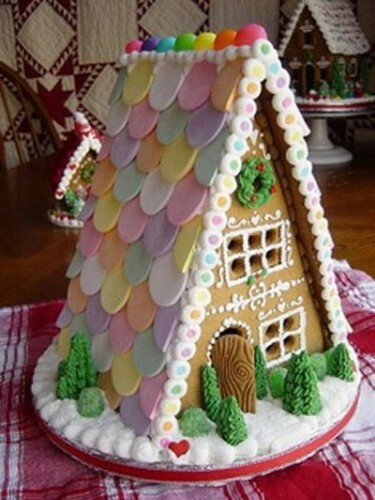 I love the way the roof is done on this gingerbread house. And the Candy cane at the front for posts looks so sweet. Source: Edible Art on Flickr. The windows of this colonial style Gingerbread house are lit from within by a string of holiday bulbs, which flicker and glow like firelight. My favorite part are the Gingerbread trees! See the tutorial for this lovely design at Martha Stewart. This is a candy lover’s dream. The whole house and walk way are made with some type of candy. I love the nonpareils on the roof with dripping frosting. So colorful. Image shared from Pixdaus. What a cute idea this one is. 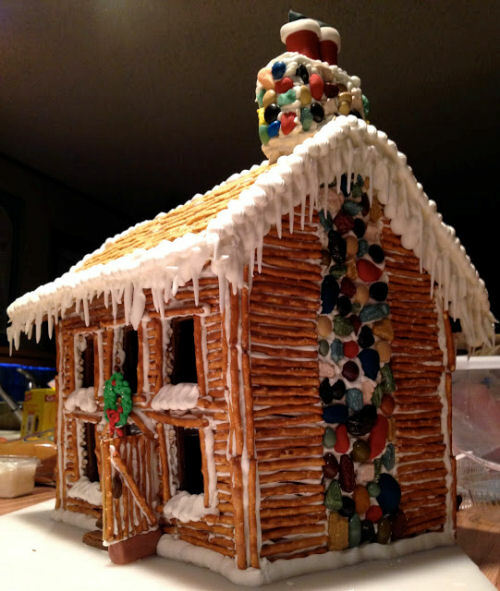 The Gingerbread pieces are covered in frosting and then pretzels are laid on, making a pioneer log cabin look. 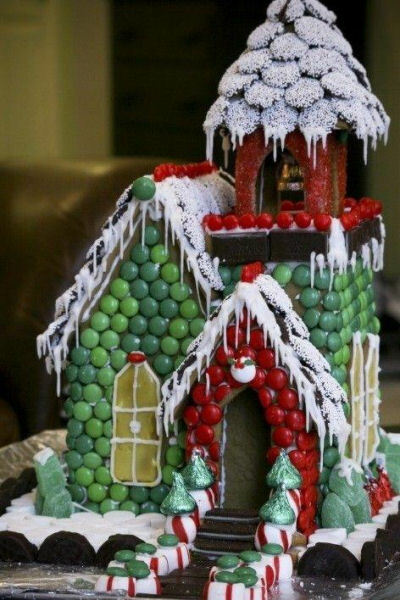 I love the candy on the fireplace and chimney too! See more on how to do this design at Cookies and Cakes. This Swiss Chalet inspired Gingerbread house is not one that you can throw together in a few hours. The size alone makes this a big project to tackle. The Department of Public Information at Penn State put up some great pictures of a gingerbread house designed to look like the Nittany Lion Inn. 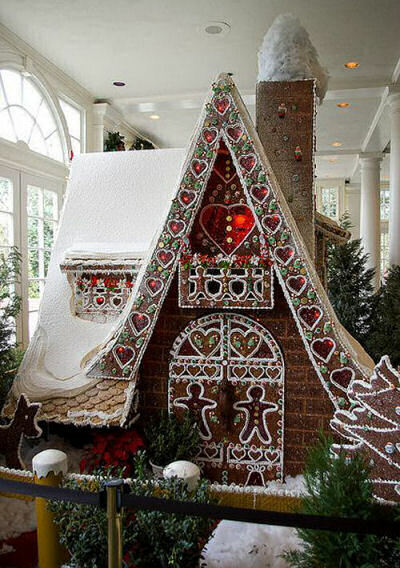 The gingerbread house weighed in at more than 60 pounds and there are more than 100 pieces of gingerbread in it. What a feat! See more on the project from Penn State News. 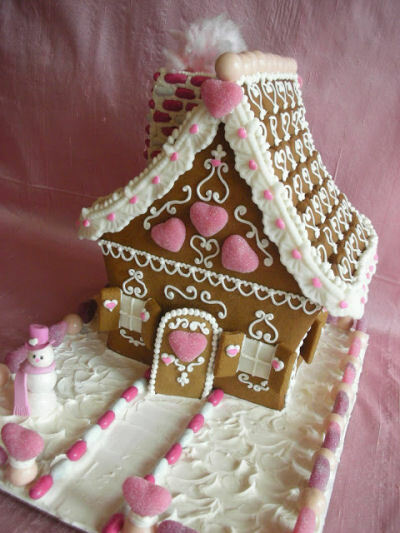 Pretty in Pink would be a great name for this lovely Gingerbread house with a heart theme. See the tutorial for the project at With Love and Confection. 1. Mini Gingerbread house made from a milk carton. 2. Honey Maid Gingerbread house. Love this one! 3. Gingerbread house with Royal Icing. 5. 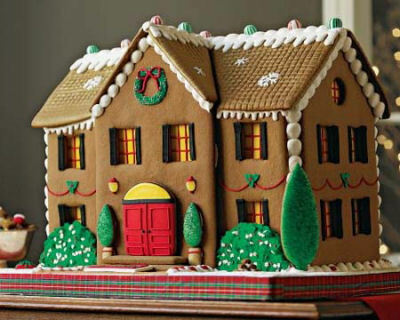 Gingerbread house dos and don’ts..
Now it’s your turn. Upload a photo of your creation for this year so that we can admire your handiwork!